909 14th St Rooming House - FOR RENT | Robinson Investment Company, Inc. The kitchen on the women's floor features granite counters and a glass tile backsplash. The kitchen on the women's floor includes a space saver microwave. The kitchen on the women's floor features stainless appliances, including a dishwasher and a flat top range. The kitchen on the women's floor has ample counter and cabinet space, and two sink areas. The dining room features large, lockable food lockers. Each resident is assigned one. A new dining room table is on its way. Food lockers in the women's dining room. 2 of the 3 refrigerators in the women's kitchen, providing lots of room for all residents. The kitchen on the men's floor features granite counters and a glass tile backsplash. The kitchen on the men's floor has ample counter and cabinet space, and two sink areas. The kitchen on the men's floor features stainless appliances, including a dishwasher and a space saver microwave. The range in the men's kitchen has a flattop surface. One of two sink areas in the men's kitchen. The kitchen on the men's floor opens right into the dining room. The dining room features large, lockable food lockers. Each resident is assigned one. The men's floor dining room. Standing the men's floor dining room looking toward the kitchen. The bathroom on the men's floor features granite counters and a triple sink vanity. The vanity area in the men's bathroom. Restrooms in the bathroom on the men's floor. Restrooms in the men's floor bathroom. The showers in the men's bathroom feature tiled walls and provide privacy with dividers between the 4 showers. The bathroom on the women's floor. The vanity area in the women's bathroom features triple sinks, granite counters and a glass tile backsplash. Restrooms and storage lockers in the women's restroom. Each of the 4 showers in the women's bathroom is tiled and offers privacy. The 4 showers in the women's bathroom are located behind the vanities. 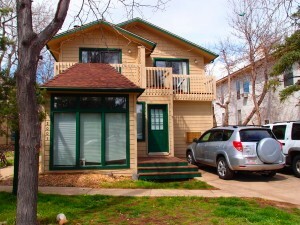 909 14th Street in Boulder is a large, multi-use building including the Chabad at CU on the main level and quiet, secured residential rooming units on the upper two levels. 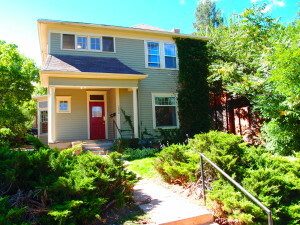 Situated at the corner of 14th and Aurora, this building is superbly located on The Hill. 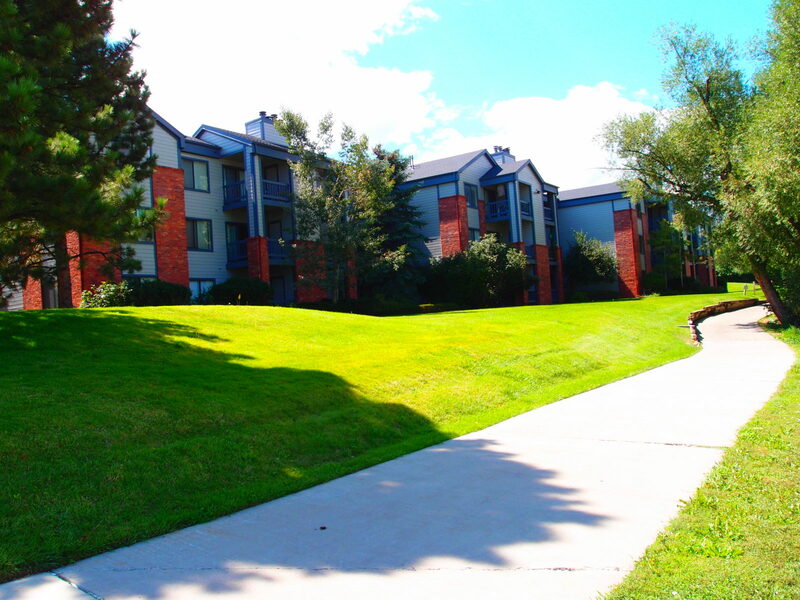 Walk to CU and all of the hot spots on The Hill in mere minutes. 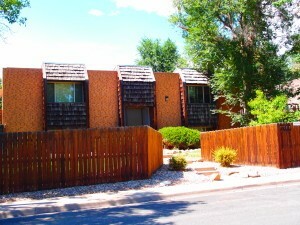 CURRENTLY WE ONLY HAVE AVAILABILITY ON THE LADIES FLOOR – unit 302 for $715 per month. However, we are pre-leasing for August 2019. Please check the chart below for our available rooms. There are 28 rooming units total on the second level and third level of the building. The rooming units are located around the perimeter of the building with the common area in the middle. The common area on both levels includes a living room, kitchen, dining area and bathroom. The kitchens and bathrooms have just been beautifully renovated on both floors. The kitchens feature granite counters, stainless appliances, IKEA cabinetry and glass tile backsplashes. Both kitchens have dishwashers, space saver microwaves and plenty of cabinets and counter space. Each resident is also assigned one spacious and lockable food locker. The bathrooms on both floors are tiled from top to bottom and feature granite vanities with 4 private showers. This is also a secured building, requiring a fob for entry. The second level is rented to men only and the third level is rented to women only. This preserves privacy for all of our residents and means that men and women do not share the same bathroom. Rents range from $840-$1035, depending on the size of the room. Leases signed for the Fall are for one year – August to August. One month’s rent is required as a deposit and is due when you sign the lease. There is also a monthly $65 utility fee that includes gas, electricity, water, air conditioning, trash, cable, high-speed WiFi throughout the building, camera surveillance at all entries and exits, snow removal, and cleaners once per week for the common areas. There is also coin operated laundry available to all residents. On the female floor, we also have a one bedroom, one bathroom apartment with its own kitchen, Unit #315. The rent for this apartment is $1040 per month and the $65 monthly fee also applies. This unit is rented through August 2020. 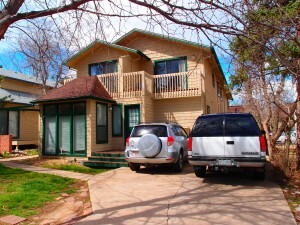 If you have any questions or are interested in renting from August 2019-August 2020, please contact the building manager, Mohira Ashurova at 720-308-3233. Please note: per City of Boulder rental housing regulations, occupancy for this building is limited to 1 individual per room and 2 unrelated individuals in unit 315. 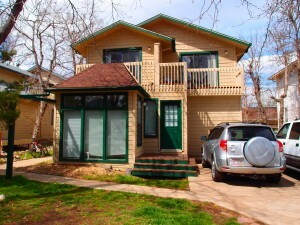 The rental license number for this property is RHL-0002741.